Since August, the team of Beth White, David Scotto and Robin Herko have handled two transactions at The Waterfront at Port Chester. We personally have found that retail is not dead, it is just reinventing itself. 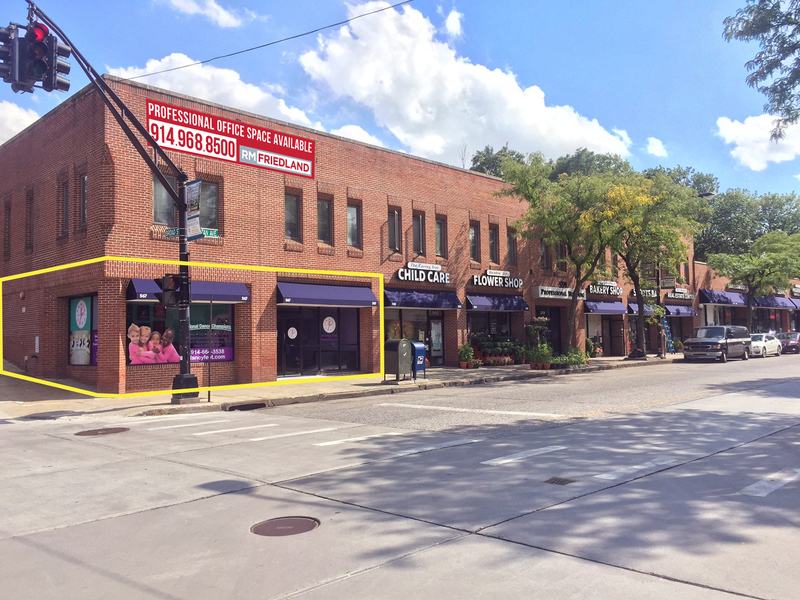 We have seen an influx of experiential retail tenants coming into the County and moving into spaces that had previously sat vacant for years. In recent months, industry experts and media outlets have claimed the same thing: retail is dead. Brick and mortar has seemingly been replaced by omni-channel shopping, with many industry cornerstones and mom and pop shops shuttering doors across the country. While many have started to pull away from this sector, RM Friedland, the largest privately held commercial real estate brokerage firm in Westchester County, has doubled down, expanding its retail team with the belief that retail is not dead, it is simply evolving. In the past 60 days alone, RM Friedland has participated in three of these such retail transactions. The team of Beth White, David Scotto and Robin Herko have handled two transactions at The Waterfront at Port Chester, a property for which RM Friedland is the exclusive leasing broker. In August, the company represented both sides in a transaction that brought Greenwich Ballet Academy, Inc., to the property. In September, a high performance squash academy leased an 8,670 square foot space. Both of these units had previously been vacant for over a year. The Waterfront at Port Chester is a 358,619-square-foot shopping, dining and entertainment hot spot located along the Byram River Waterfront in Port Chester’s bustling downtown. The area is known for popular restaurants like Tarry Lodge, Bar Taco, Q, The Rye House, Saltaire and Alba’s, and showcases Westchester’s favorite live music performance venue, The Capitol Theatre. The company currently represents over 35 retail properties primarily in Westchester and the Bronx. RM Friedland is a commercial real estate services company serving the Tri-State Metropolitan Area. The company relies on a team of talented veteran and junior brokers who represent all asset classes with a focus on industrial, retail and office. Its brokers are supported by robust databases and a capable staff that is dedicated to the success of each broker. RM Friedland is located at 440 Mamaroneck Avenue in Harrison, New York and can be reached at (914) 968-8500 or by visiting http://www.rmfriedland.com. RM Friedland’s Scotto, Herko and Katelin Van Voorhis represented both sides in a transaction that allowed Fancy Feet Enterprises, Inc. to open its first Westchester location.